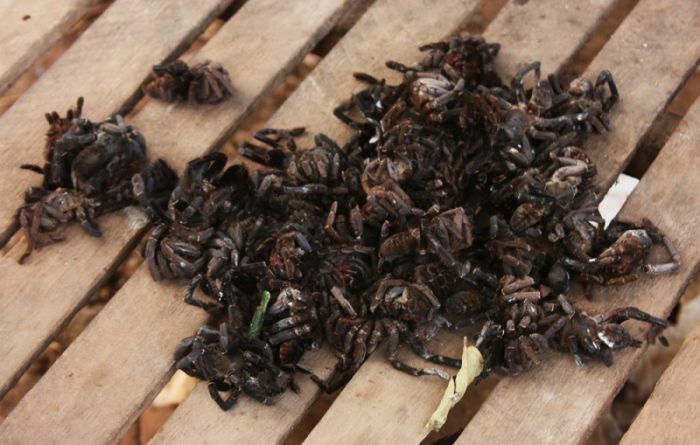 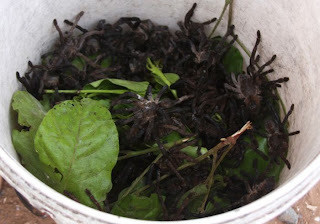 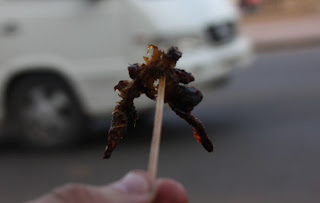 Fried spider is a regional delicacy in Cambodia. 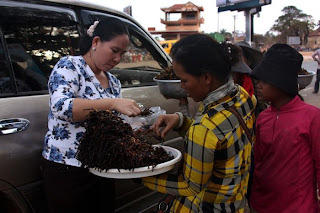 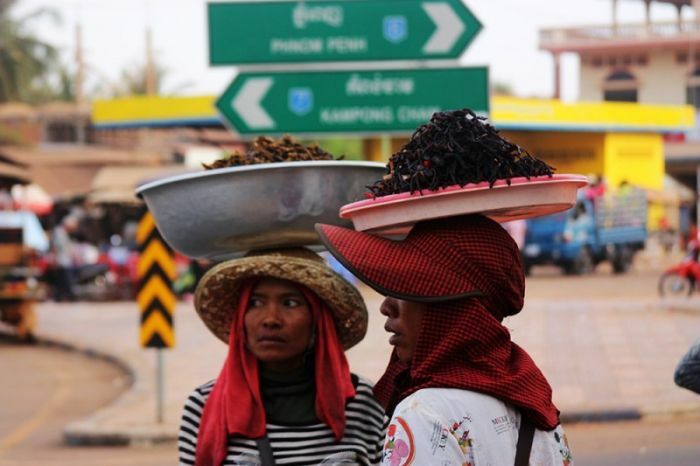 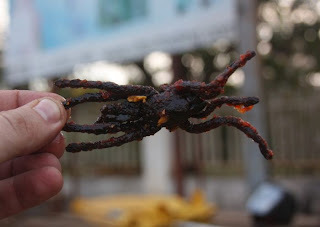 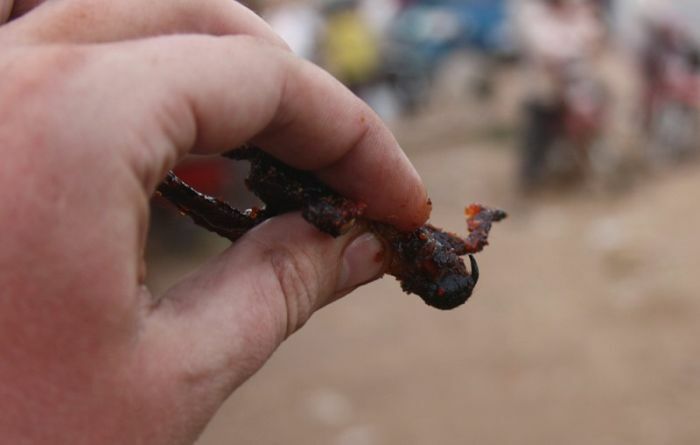 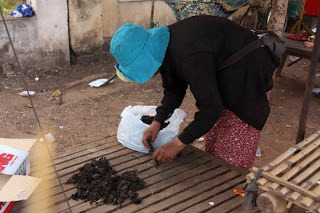 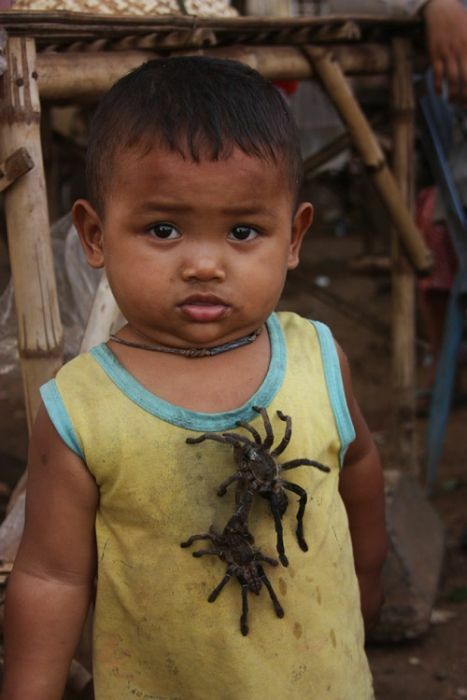 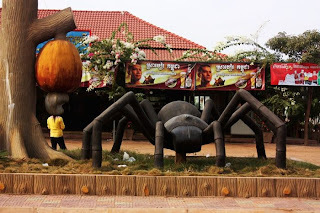 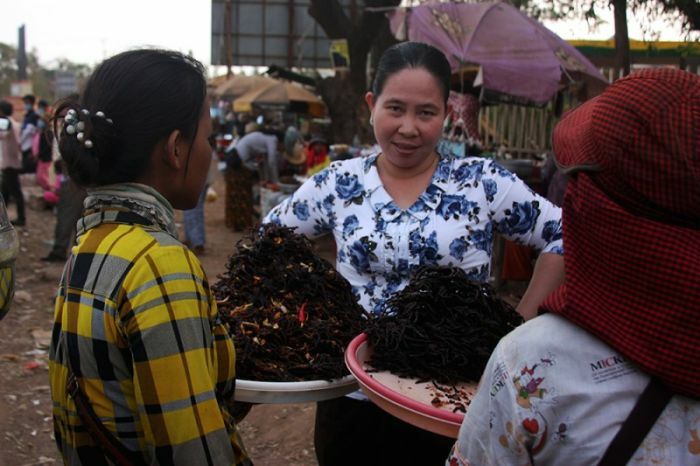 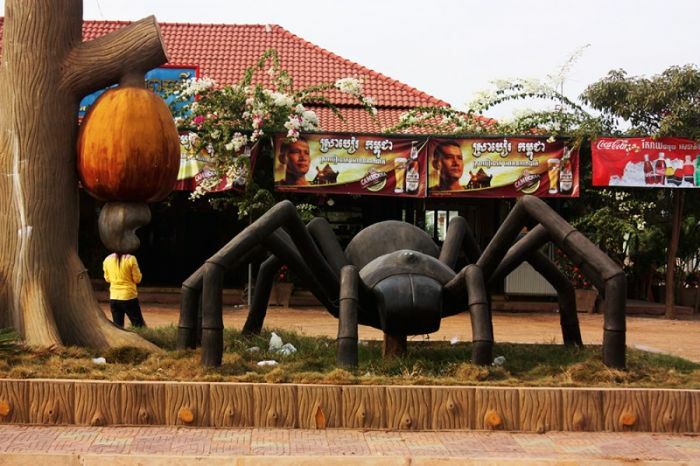 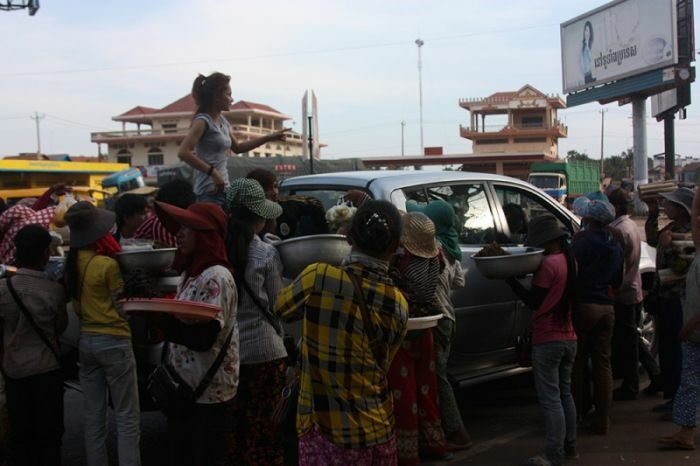 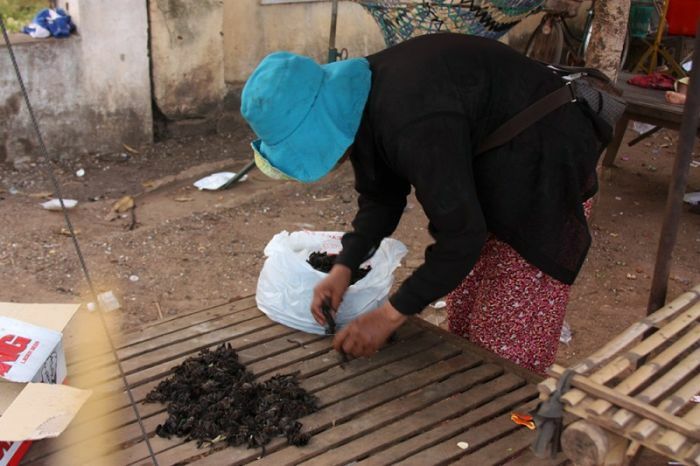 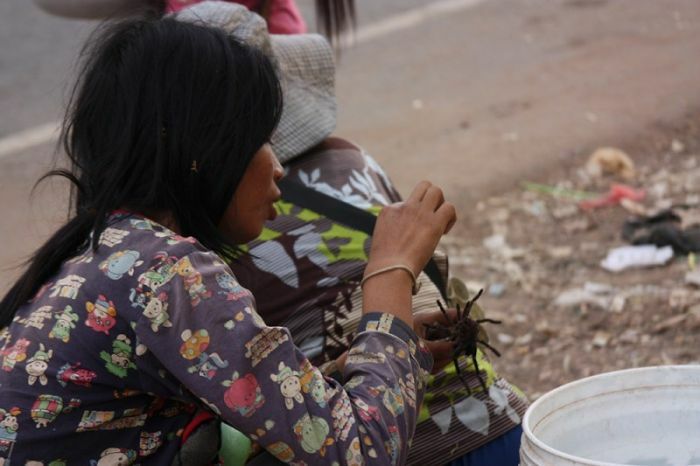 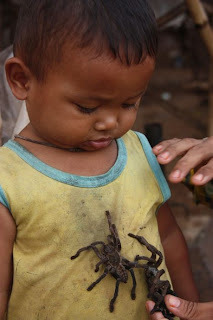 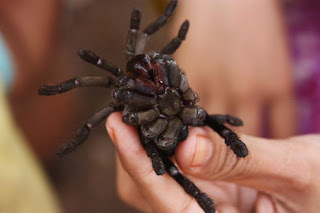 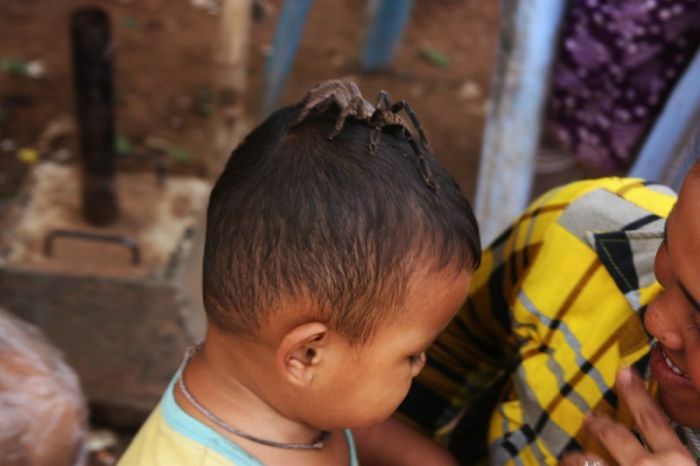 In the Cambodian town of Skuon (Cheung Prey, Kampong Cham Province), the vending of fried spiders as a specialty snack is a popular attraction for tourists passing through this town. The spiders are bred in holes in the ground in villages north of Skuon, or foraged for in nearby forestland, and fried in oil.